Aquiles has 16 years of investment experience and founded Larrea Wealth Management in 2002. He is a Registered Principal, Cambridge Investment Research and holds the following licenses: Series 7, 63, 31, 24, Life and Health Insurance. 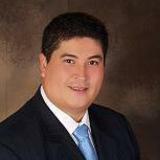 Aquiles is a member of the Investment Management Consultant Association. Aquiles holds a B.S., from St. John’s University. He is also a Third Degree Black Belt, Shotokan Karate, and was an international Competitor in Karate and a member of the U.S. World Cup Karate Team. He is married to Rosabelle Tong-Larrea and a proud parent of two children, Aquiles Maximus and Alexandria Tula.